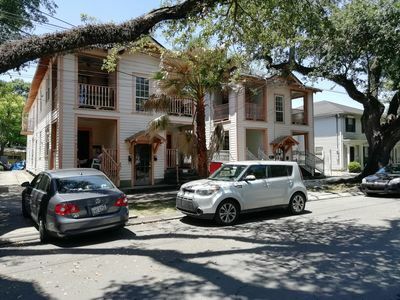 Enjoy New Orleans in this attractive and comfortable apartment in an elegant townhouse one block off of historic St. Charles Avenue, close to Audubon Park. 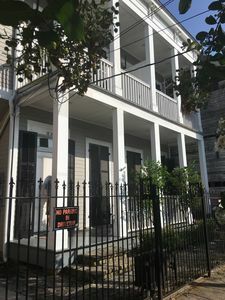 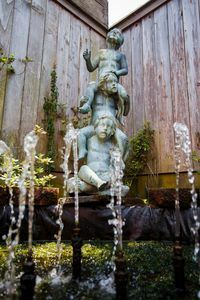 It is within walking distance of the park, Loyola and Tulane University, as well as the many shops and restaurants in the "River bend" area. 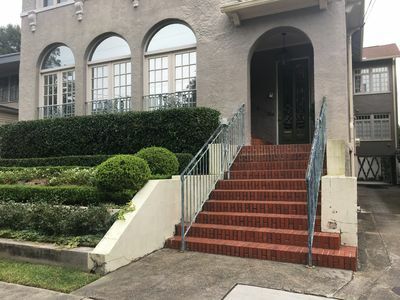 St. Charles boasts live oaks, beautiful architecture and the streetcar line, which runs all the way downtown, to the western boundary of the French Quarter. 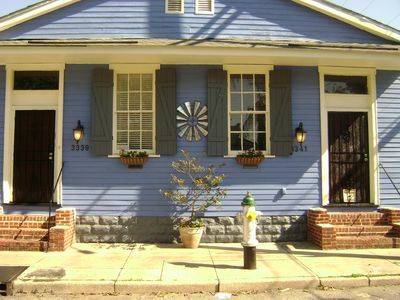 The house is also very close to a nice commercial area on Maple St. and the river bend, each with coffee shops, stores and restaurants. 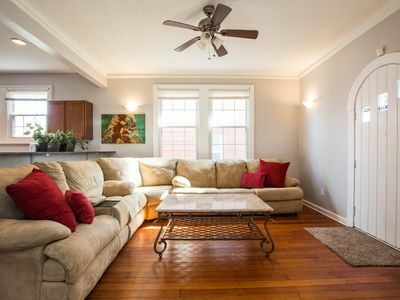 The unit has a private entrance and occupies the ground floor of a home in a beautiful, upscale neighborhood. 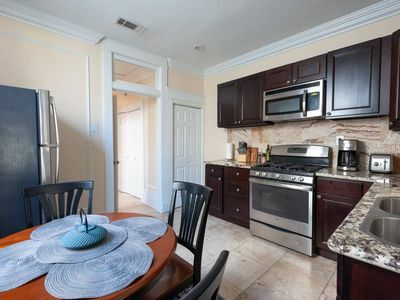 The kitchen is fully equipped and stocked with a Keurig coffeemaker, wine glasses, water glasses, utensils, plates, bowls, and cookware. 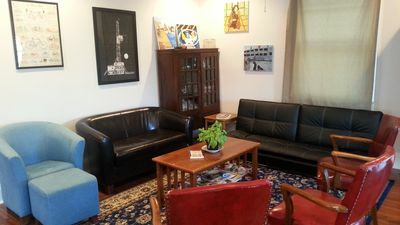 The living area is open and spacious, and has a TV equipped with a Roku. 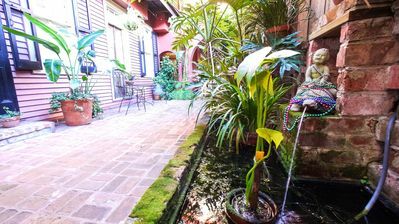 Wifi is available and free. 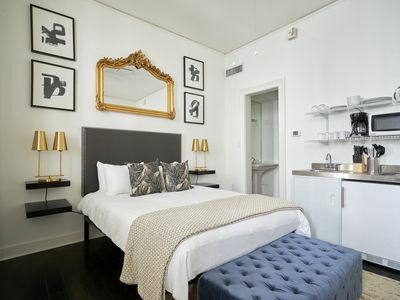 The spacious bathroom has a tub/shower/jacuzzi, hair dryer and other amenities. 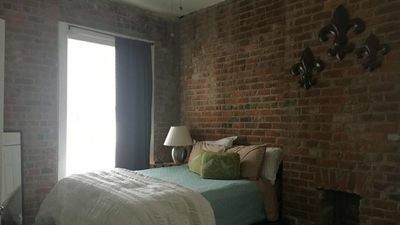 There are three bedrooms, two with one queen sized bed, and the third bedroom with a pair of single beds. 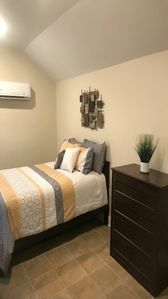 Each bedroom has a large closet and other storage for guests. 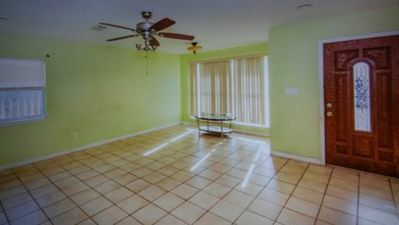 Prices for rental are for the largest, master bedroom. 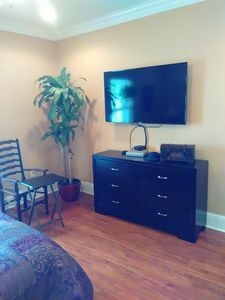 We are happy to rent the 2nd and 3rd bedroom for an additional fee of $50 per night per room. 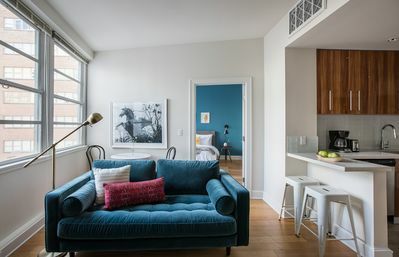 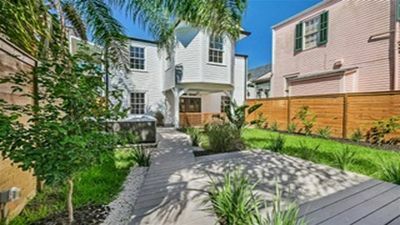 Historic& modern 3/2.5 Townhome &fold out. 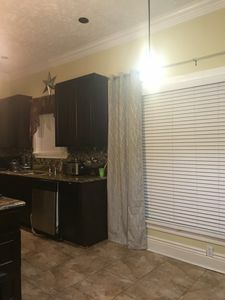 3bed next door for larger groups! 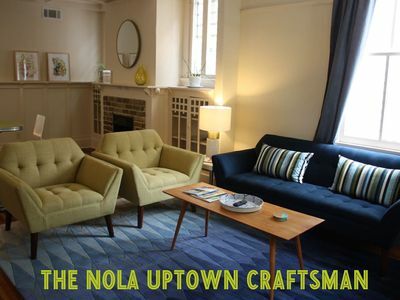 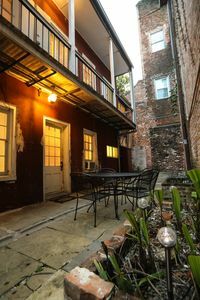 Perfect Condo for Jazz Fest New Orleans! 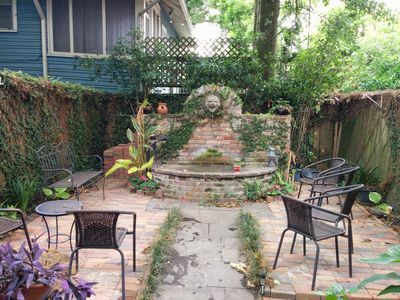 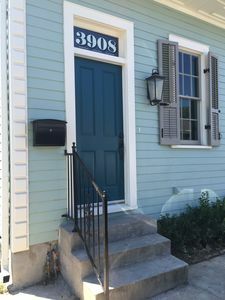 "A True Taste Of New Orleans"
Furnished rental Midcity New Orleans (downtown) quiet area.